After circling around it for a few weeks now, we begin our reading of An Inquiry into the Modes of Existence (2013). In this work, written over the past 30 years, Latour presents a pluralist ontology that encounters multiple modes of existence, each of which has its own beings, languages and forms of worth. We discover that the network, which by now we are thoroughly familiar with, is only one mode among others: religion, the subject of Latour’s doctoral research, is another; the ‘mode of existence of technical objects’ (Simondon) a third. Latour’s goal in elaborating each of these modes is to facilitate ‘an anthropology of the Moderns’, which would bring together in a ‘cosmopolitical’ fashion disparate collectives. The Inquiry often revisits key stories and sorties from Latour’s previous work; a familiarity with the ANT/STS canon is rewarded but not required. Latour recently published a potted history of the ‘encounters’ that led to the present work. For those interested, our lead-up reading included: Jim Johnson’s “Mixing Humans and Non-Humans Together”; “Relativism” from We Have Never Been Modern; and “From Realpolitik to Dingpolitik”, the introduction to the Making Things Public catalogue. The Inquiry also exists as a free online version with thorough hyperlinks to definitions and citations, and is worth exploring even if you prefer to read the scans we will be uploading. It can be accessed at: http://www.modesofexistence.org. We will also provide suggested accompanying readings in some weeks to frame and feed into our discussion of the set chapter. This schedule will allow participants to read the book in its entirety over five weeks, or to explore key moments in Latour’s new book with the group. 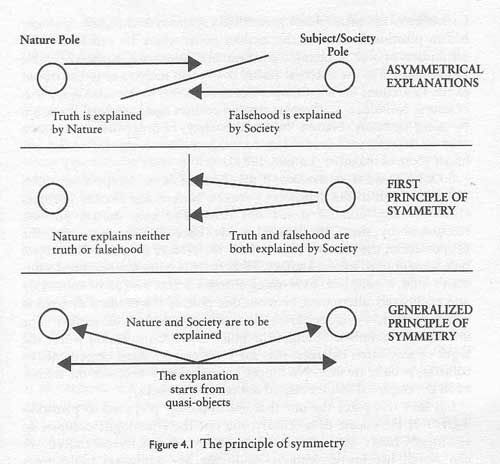 “Relativism” begins by introducing the STS principle of symmetry. Latour argues that traditional scientific epistemologies treat truth and error differently: where error is embedded in history, truth is “torn away” form any taint of historical “contamination”. The effect of this distinction is, Latour claims, that objects are excised “from the entire network that gave them meaning” (91-93). This chapter expands upon this problem of symmetry by broaching some of WHNBM‘s key ideas and concepts. It discusses the idea of “natures-cultures”, which attempt to overcome the divisions between human and nonhuman, nature and society. It broaches the idea that networks are “scalable”, and hence both local and global at every point. It extends the concept of “translation” – developed in Irreductions – to the operations of actor-networks. Finally, it finishes with the introduction of the idea of the “pass”, which will become crucial to An Inquiry into Modes of Existence. [PDF, 1MB] Latour, Bruno, “Relativism”, Chapter Four of We Have Never Been Modern trans. Catherine Porter (Harvard University Press, 1993) pp. 91-129. In this essay, the introduction for the Making Things Public exhibition catalogue, Latour introduces the stakes of incorporating objects into politics, while simultaneously questioning the model of politics itself that we seek to promulgate. By the German neologism Dingpolitik, we wish to designate a risky and tentative set of experiments in probing just what it could mean for political thought to turn “things” around and to become slightly more realistic than has been attempted up to now. A few years ago, computer scientists invented the marvelous expression of “object-oriented” software to describe a new way to program their computers. We wish to use this metaphor to ask the question: “What would an object-oriented democracy look like?” (4). 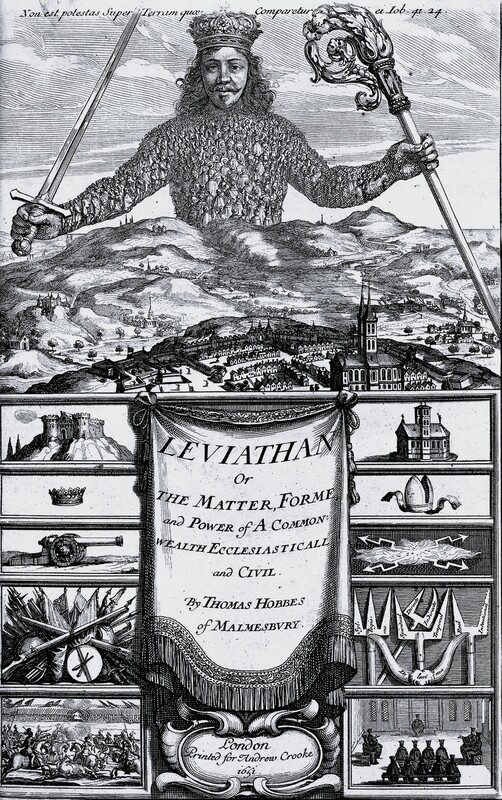 Through discussions of the publication of Leviathan, Colin Powell’s statements on the status of WMDs in Iraq, and historical and contemporary iconoclasm, Latour reminds us of the two senses of representation – ‘gathering legitimate people’ and ‘making things public’. Lastly, the exporting of democracy worldwide – of which Sloterdijk’s “inflatable parliament” provides a striking metaphor – is problematized through its treatment of difference or, even more importantly, indifference. This last question is increasingly important in the Inquiry into Modes of Existence, to which we will turn next week. [PDF] Latour, B. (2005). From Realpolitik to Dingpolitik or How to Make Things Public. In B. Latour & P. Wiebel (Eds. ), Making Things Public: Atmospheres of Democracy. Cambridge: MIT Press. Latour’s new book An Inquiry into Modes of Existence has arrived, and before reading a few chapters together, we will be revisiting some of his previous work. This week we read “Mixing Humans and Non-Humans Together”, an essay published under the pseudonym Jim Johnson in 1988. As a means of directing our attention to the work of non-humans in ‘social’ situations, Latour analyses doors as a disciplinary technology. If you do not want to imagine people destroying walls and rebuilding them every time they wish to leave or enter a building, then imagine the work that would have to be done in order to keep inside or to keep outside all the things and people that, left to themselves, would go the wrong way. […] The reversible door is the only way to irreversibly trap inside a differential accumulation of warm sociologists, knowledge, papers, and also, alas, paperwork; the hinged door allows a selection of what gets in and what gets out so as to locally increase order or information. If you let the drafts get inside, the drafts will never get outside to the publishers. The article draws on Mumford and Winner on the politics of technics, and gives an indication of the direction Latour’s later thought will take. Future weeks may include readings from We Have Never Been Modern (1993), Making Things Public (ed. Latour and Wiebel, 2005) as well as a few chapters from An Inquiry into Modes of Existence. If there are any pieces in particular you’d like to discuss, please let us know! This week the TCRG reads a chapter from Montfort and Bogost’s Racing the Beam, the book that seems to have defined (digital) platform studies in its current generation. This chapter “Adventure” discusses the adaptation of text-based adventure games into graphical-based adventure games. 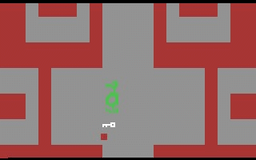 The specific affordances of the VCS’s representational schema, collision detection routines and user interface present challenge for the construction of the player’s agency in a (fairly) open world. [PDF] Montfort, N., & Bogost, I. (2009). “Adventure”, Racing the Beam: the Atari Video Computer System. Cambridge, MA: MIT Press, pp. 43-63,153-4.